We crossed this country as part of our Epic Journey in July of 2015 . 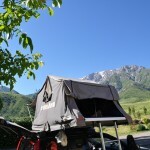 Click on the link bellow and you will be transfered to the post from our drive through Kazakhstan. Kazakhstan, the most economically advanced of the ‘Stans’ (thanks to its reserves of oil, natural gas and minerals) is the ninth-biggest country in the World. With land of 2.7 million sq km, is about the size of Western Europe meanwhile its population is just over 17 million people. First port of call for us? Well, since we still had the Russian visa issue pending, we headed straight to Almaty. This leafy city with a backdrop of the snowcapped Zailiysky Alatau has always been among the most appealing ex-Russian creations. 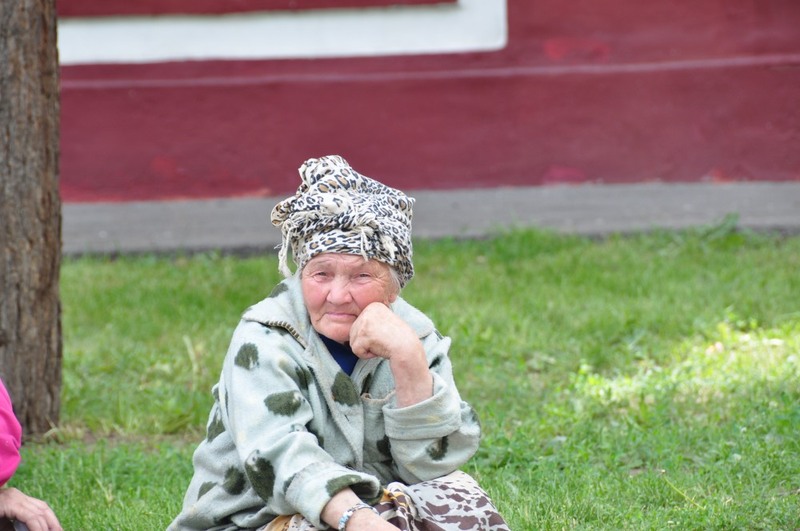 Today Almaty’s new rich have expensive suburban apartments, large SUVs, glitzy shopping malls, western-style coffee lounges and expensive restaurants. After registering in the country (obligatory for foreigners) and applying for our Russian visa, we stayed for a week waiting for the process to complete. 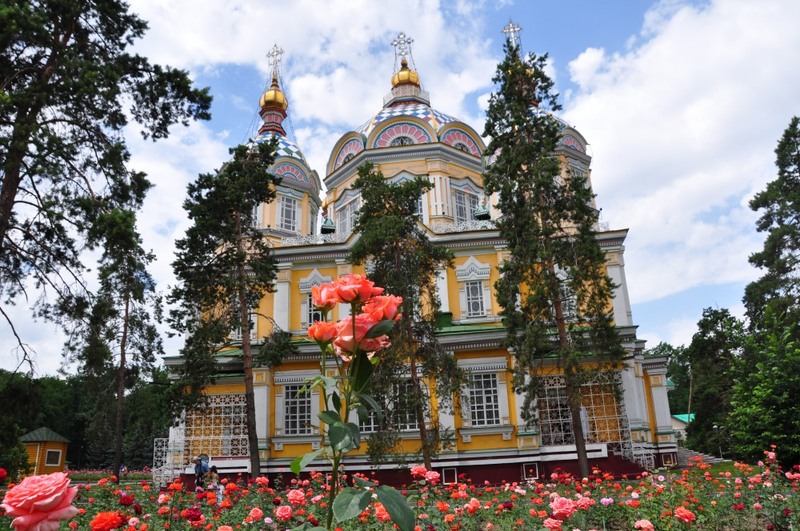 With this much time to get to know the city, we roamed around Almaty’s green parks, shops and markets. 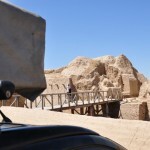 In reality we were catching up with all the western lifestyle needs that we hadn’t come across since we had left Dubai. Some of home comfort missing, I suppose. Rochelle even used the hostel’s oven to make bread or something like bread, as well as MoMo’s, which were admittedly a great success. The morning we finally had our passports stamped with our visas, we packed up Voukefalas from its 10-day long camping vacation in the garden of a hostel and started heading west. 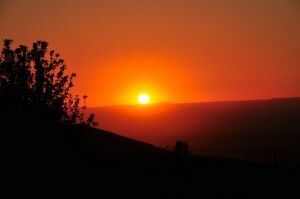 This is the most Kazakh part of Kazakhstan. It’s also the only region of Kazakhstan that was within the sphere of the Silk Road. Among its varied attractions are the pristine mountain country of Aksu-Zhabagyly Nature Reserve and the Yasaui Mausoleum at Turkistan, Kazakhstan’s most sacred Muslim shrine and a fine piece of Timurid architecture. We took things one at a time. 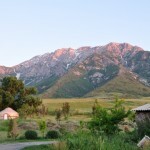 First was Aksu-Zhabagyly Nature Reserve. 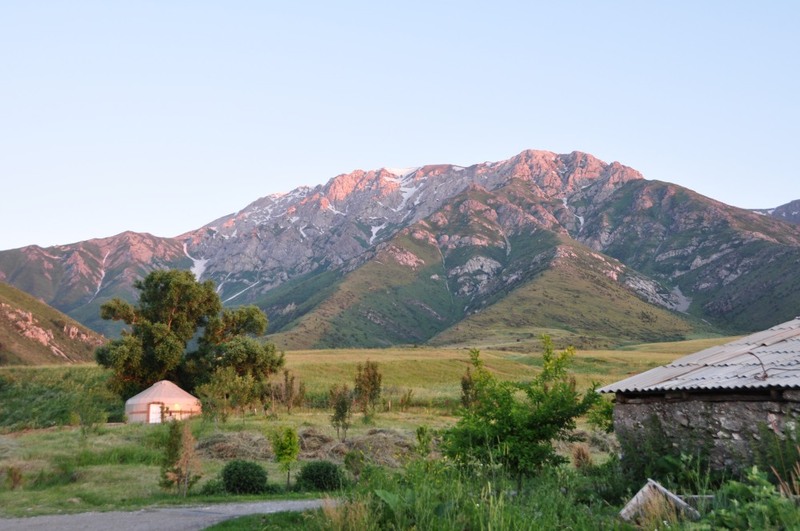 This beautiful 1319-sq-km patch of green valleys, rushing rivers, snowcapped peaks and high-level glaciers is one of the easiest visited of Kazakhstan’s nature reserves. 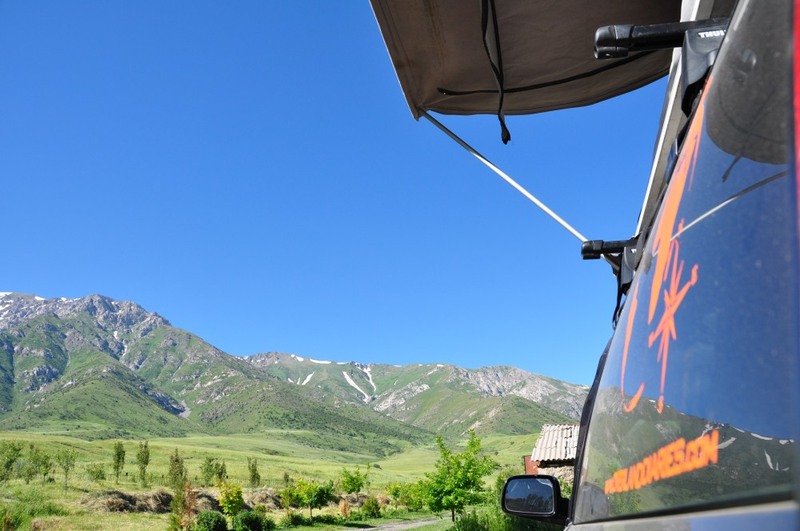 The diversity of life in this area, where mountains meet steppe, is great for nature lovers and fanatic campers. 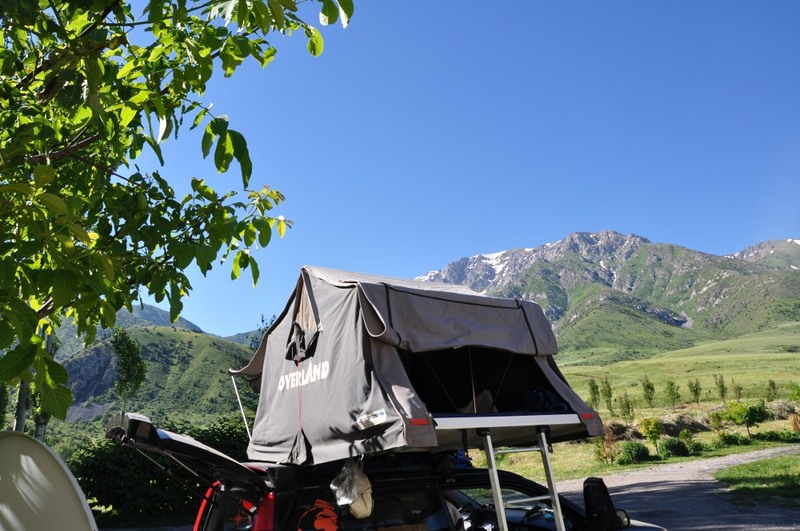 As both of the above fit our profile, we spent three nights under the stars in one of the most beautiful outdoor camping sites in this trip. 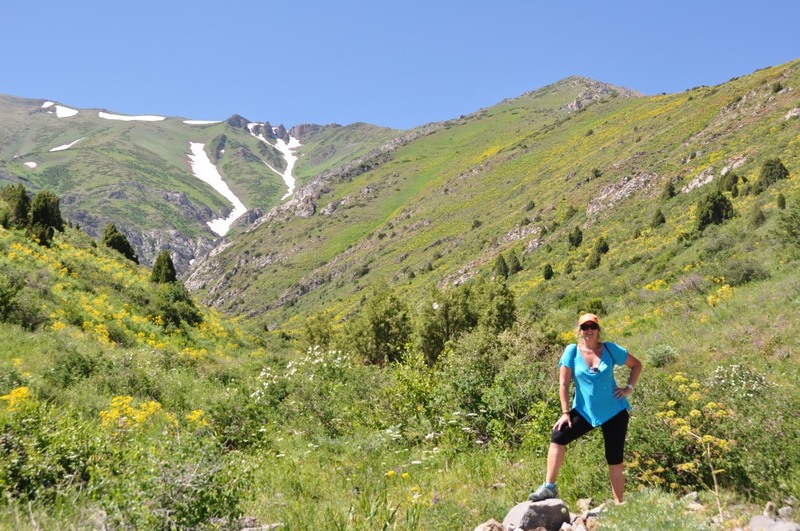 As for the wildlife you may see, it includes ibex, argali sheep, red marmots, paradise flycatchers, golden eagles and Tien Shan brown bears. About 90 inhabit the reserve. Chances of sightings are best in spring. 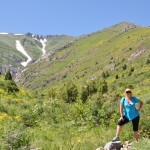 Unfortunately for Rochelle, in our five-hour hike we didn’t come across one. 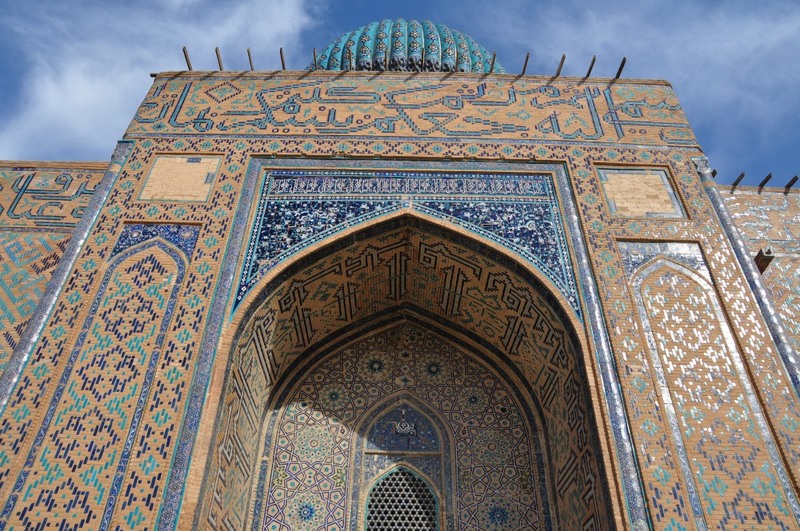 Further down in our route, at Turkistan, 165km northwest of Shymkent, stands Kazakhstan’s greatest architectural monument and most important pilgrimage site. 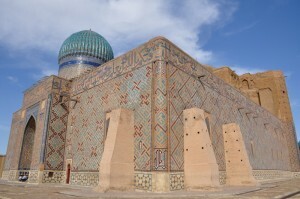 The mausoleum of the first great Turkic Muslim holy man, Kozha Akhmed Yasaui, was built by Timur in the late 14th century and has no rivals in Kazakhstan for man-made beauty. Yasaui’s original small tomb was already a place of pilgrimage before Timur ordered a far grander mausoleum built there in the 1390s. 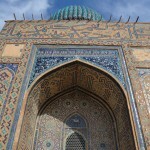 Timur died before it was completed and the main facade was left unfinished. Today it remains bare of the beautiful tile-work that adorns the rest of the building, with scaffolding poles still protruding. 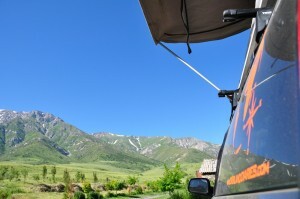 After visiting the site, we camped in a nearby parking lot for the night before we continued to Kyzylorda the following morning. 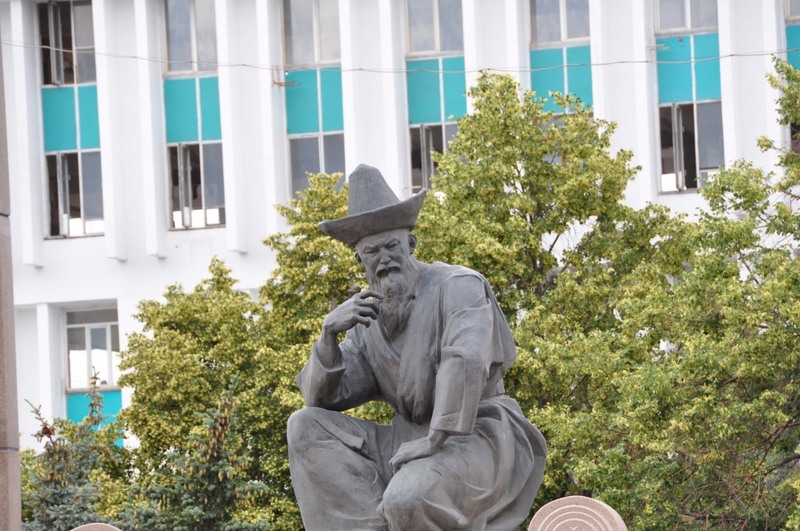 Kyzylorda became capital of Soviet Kazakhstan in 1925 but was replaced by cooler Almaty in 1929. Today oil and gas operations in the South Turgay Basin, mainly Chinese-owned, underpin its economy. The only thing worth mentioning here is our close encounter with the Kazakhstan police corruption. Since our first day in Kazakhstan, we noticed that the traffic police was everywhere and their job was to find a reason to give out fines. Although we were stopped three times till that day, we had managed to get away without one. In Kyzylorda now, and while we were driving around to find somewhere to stay, we were pulled over by the police because Voukefalas’ windows were more tinted than allowed. Obviously it was a serious reason to get a fine. For 45 minutes I played the idiot tourist who doesn’t understand “money, money” in Russian to get off it. Luckily they didn’t bother with me anymore. YEAH!!! Kazakh police 0-Overlanddiaries 4, in the battle of No Bribes. 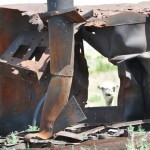 Further into no man’s land and in the desert now, we were rejected entry into the Cosmodrome. I still wonder why. Is it not normal for two tourists to reach a highly secure facility and be allowed to enter? After that we pushed to Aralsk that four decades ago was an important fishing port on the shores of the Aral Sea, Today most of the Aral Sea is gone, victim of Soviet irrigation schemes that took water from its lifelines, the Syr-Darya and Amu-Darya rivers, and pushed the shoreline 60km out from Aralsk. 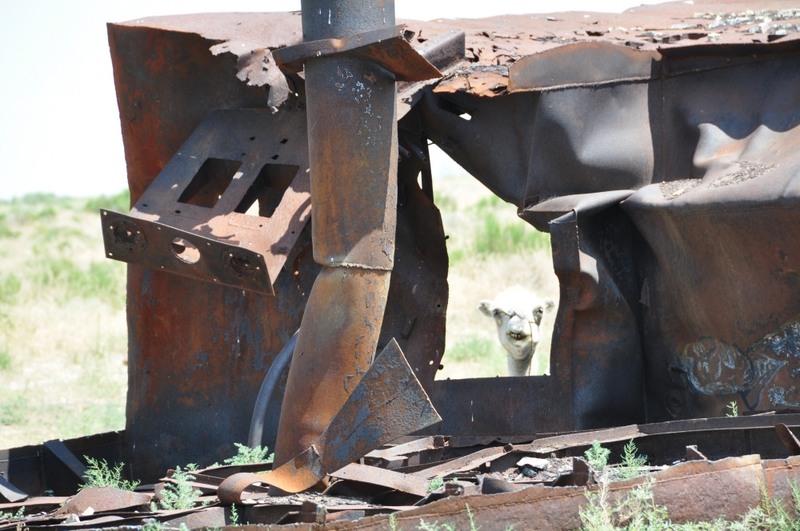 Near Zhalanash (Zhambyl), a former fishing village 55km west of Aralsk and now some 10km from the seashore, you can still see a ship cemetery, where three abandoned hulks rust in the sand, providing shelter for those other ships of the desert, the area’s wandering camels. 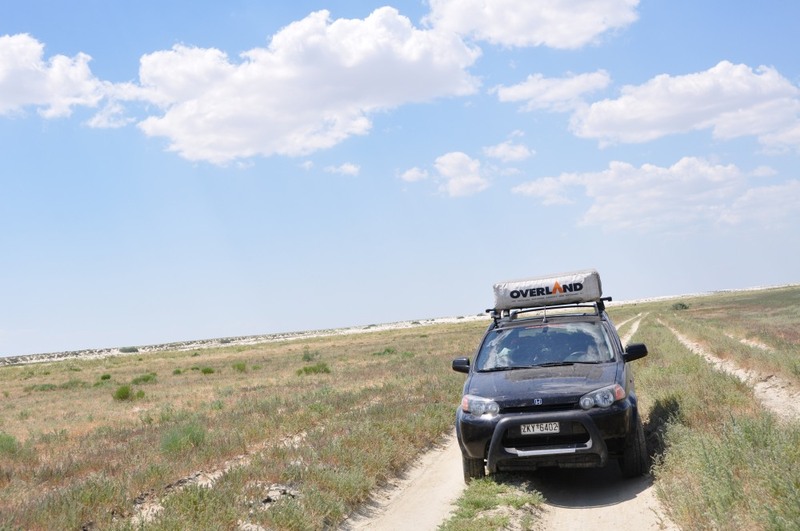 With the Aral Sea ticked away from our things-to-see list, we headed deeper into Western Kazakhstan, so far west that the part beyond the Ural River is in Europe. 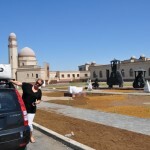 This is the gateway to Central Asia and Kazakhstan’s biggest oil and gas fields. 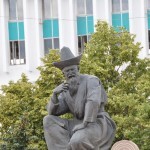 The main cities – Aktau, Aktobe and Uralsk – have limited interest for travelers except as overland transit points. 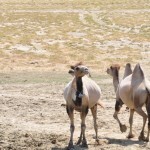 Elsewhere the human population is sparse and the landscape is chiefly desert and steppe. 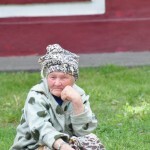 Aktobe has experienced a facelift as a result of the influx of oil and gas companies and its modern new town is a big surprise after hours of straight no man’s land that caused Rochelle’s Happy Hour time, while she was waving to the passing astonished truck drivers. See the video for more craziness. 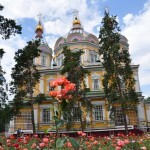 Uralsk, on the other hand, sits on the European bank of the Ural River and has a beautiful traditional Russian architecture around the leafy city centre. 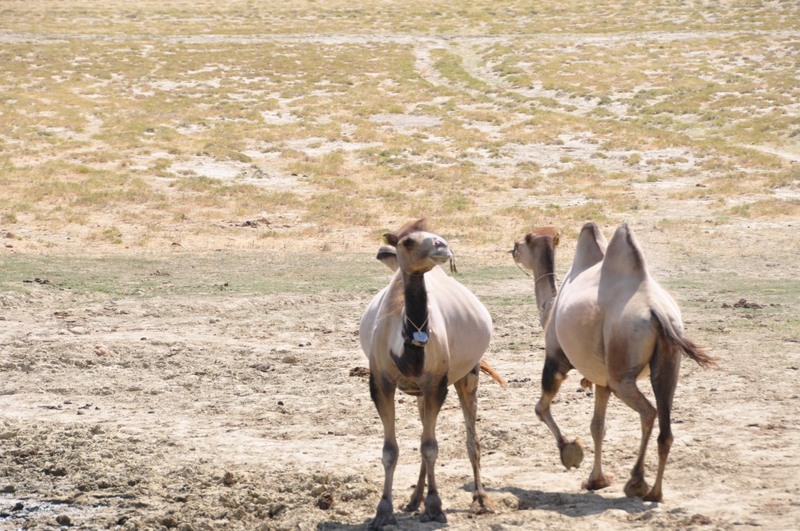 As for those with a taste for adventurous exploring, the desert outside the Caspian-side city of Aktau is dotted with underground mosques, ancient necropolises, wandering camels and spectacular rock formations. 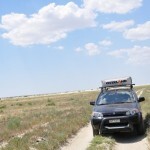 When we decided to follow the route via Kazakhstan, none of us was sure what to expect from this vast country. 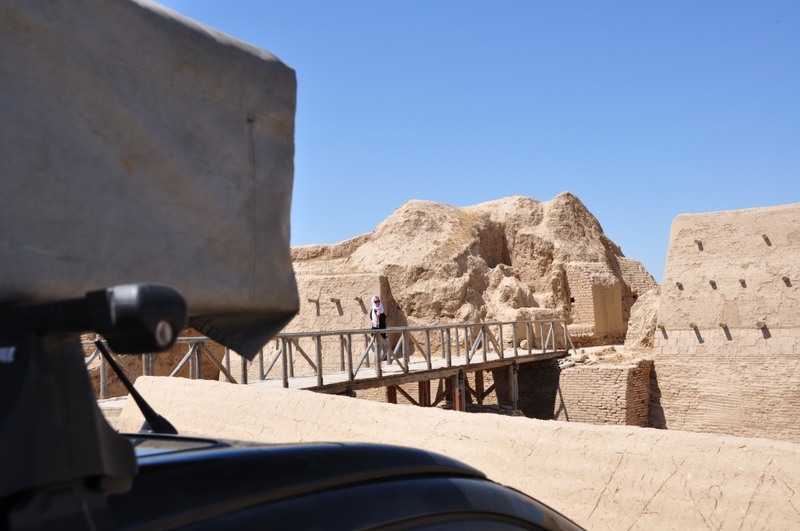 After a month traveling through it we found out that, although it’s not extremely rich in sights and between its cities there are vast areas of nothing, it was worth getting to know it. It may not be a top tourist destination full of interesting sights but our time there went by very pleasantly. 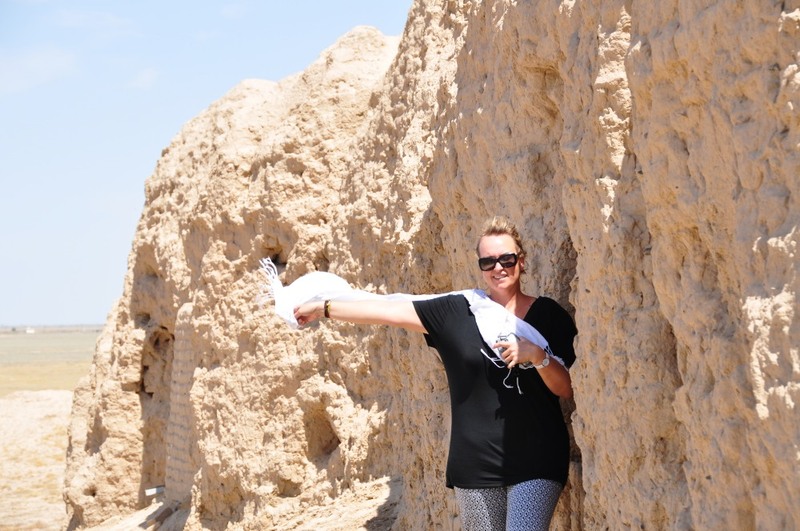 All the newborn cities we came across definitely give this place a weird beauty that is worth the effort. So long, Kazakhstan and thank you!! !